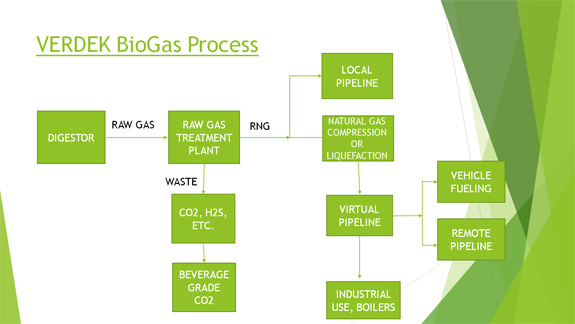 Raw Biogas generally has a content of methane ranging from 50% to 75%. Galileo Microbox Bio produces RNG (Renewable Natural Gas) capable of being injected into pipelines or used in industrial applications such as boilers or as fuel for transportation. Biogas production is increasing all over the world and Galileo’s solution efficiently resolves the challenge of cleaning the raw biogas for an effective use. We have a solution for large farms dealing with cow or hog manure or waste water treatment plants. Just as for any of Galileo’s product range, the MicroBox Bio has a small footprint and features a modular design for easy installation and organic growth. Treated Biogas Output 155,500 MMBTU/Yr.